As this is among the most popular islands in Greece and receives thousands of visitors every summer, there are many nice places to eat and drink in Corfu. Most cosmopolitan restaurants and bars are found in Corfu Town, especially in the Old Town. This is where visitors can find elegant restaurants next to traditional taverns with local dishes, such as sofrito and pastitsada. Such nice taverns are found all around the island. The Town of Corfu is the most popular nightlife spot on the island, with lounge bars at the narrow streets of the Old Town and popular clubs close to the New Port. Other regions in Corfu with vivid nightlife are Dassia, Gouvia, Sidari, Agios Stefanos Avliotes and Kavos. 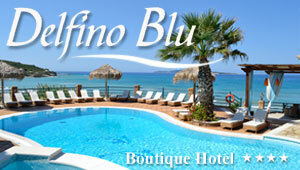 Are you looking for places to eat and drink in Corfu island? Here are some interesting suggestions to have a meal or dinner, enjoy a relaxing coffee and spend the night out in Corfu. If you have visited any of these places, feel free to leave your feedback or upload their photos, if you have. Want to discover more about Corfu? View also: Things to see and things to do! Restaurants in Corfu are found anywhere on the island and offer delicious dishes. The most famous spot with cafe in Corfu is Liston Avenue in Corfu Town. Nightlife in Corfu is intense, which is why Corfu bars are found in all tourist spots of the island. Many clubs are found in the tourist spots of Corfu, such as Corfu Town, Acharavi, Gouvia and others.